On February 18, 2014 the Supreme Judicial Court, with two Justices dissenting, held that Massachusetts affords greater protection under Article 14 of the MA Declaration of Rights than the requirements under the 4th Amendment to the Constitution when the government is seeking to retrieve from cellular service providers, historical cell site location information (CSLI) for a particular cellular telephone. 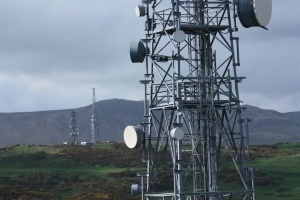 At least for a two-week period, if not more, the government obtained the telephone numbers, the date and time, and the numbers of the cell sites used for all the calls made received, including unanswered calls; latitude and longitude of the cell sites to which those calls connected in order to conduct those calls, as part of an investigation to “possibly include or exclude” the defendant “as a suspect”. Specifically, the Court analyzed the federal requirements which govern the compelled disclosure of customer communications or records to a governmental entity, and in particular U.S.C. § 2703(c)(1)(B) and (d). Section 2703 (c)(1)(B) authorizes a governmental entity to require an electronic communications provider to disclose communication records for a particular customer if the government obtains a court order pursuant to § 2703(d). The standard of proof for disclosure under § (d) is similar to the standard of “reasonable suspicion” standard, as seen and applied within criminal cases throughout the Commonwealth. One such instances of this standard, as applied, is seen in relation to stops of individuals or motor vehicles, when the government makes a stop based on such grounds to determine whether there is a reasonable basis in believing that a crime was, is, or was just committed. In re Application of the U.S. for Historical Cell Site Data, 724 F.3d 600, (2013). Subsection (d) allows a court order if the governmental entity offers specific and articulable facts showing that there are reasonable grounds to believe that the records sought, are relevant and material to an ongoing criminal investigation, and such standard is less than the well established criminal standard of “probable cause” in relation to the investigation of a crime, or the granting of a search warrant. The SJC further discussed the probable cause standard in relation to the CSLI, as in relation to G.P.S. information, as explained in Commonwealth v. Connolly, 454 Mass. 808 (2009), as a belief that a particularly described offense has been committed and the CSLI (or GPS) sought will produce evidence of such offense or will aid in the apprehension of a person who the applicant has probable cause to believe has committed such an offense. The SJC predicated their findings on the fact that there was state action present, which did constitute a search in the Constitutional sense and that search was in a place that the defendant held a reasonable expectation of privacy. The SJC drew analogies between the progeny of GPS cases that followed Connolly, infra, and information held in a global positioning system, to such information held in one’s cell phone at any time. Further finding that there is a strong argument that CSLI raises an even greater privacy concern than that of a GPS monitor, as among other things, tracks the user’s location for beyond the limitations of where a car can travel. It has been the concern of many practitioners of law that the Courts have not been able to keep up with the rapidly evolving nature of technology, when applying legal standards that have been existence way before the advent of such technological breakthroughs, which in turn, lead to inapplicable or in some instances, wrong findings. The SJC in this case, took great concern in regards to not only the rapidly evolving technological developments of the cellular phone, but also an individual’s demanding need to be “attached” to their phone, and use it for almost every facet of their life. In finding so, the SJC held that an individual does have a reasonable expectation of privacy to records formed and contained by their cell phones and by virtue, the cellular providers, and because of that very existence, the government should be held at the higher standard of proof of probable cause, under Article 14, when seeking to obtain cell site location information from an individual. From a technological standpoint the Courts are trying to catch up on how the area of telecommunications affect the every day life of an individual when liberty interests are concerned, but it is our job as practioners to educate the Court as best we can. It is that knowledge that becomes germane in trying to protect the privacy interests of our clients, but more importantly, as individuals we should educate ourselves to what capacity we may be giving up our own privacy rights every time we use or download different applications on our phone that superficially seem to make life a little easier. Always consult the advice of a knowledgeable attorney if questions and concerns arise.